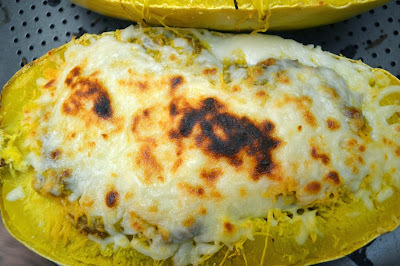 This wonderful spaghetti squash recipe is a great one to try, if you are ready to venture out just a tiny bit with your spaghetti squash recipes away from just using spaghetti sauce with it. 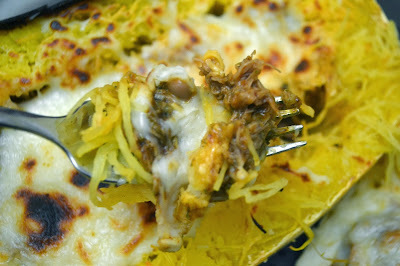 It' s a perfect way to use leftover rotisserie chicken, pork roast or even left over beef pot roast! I love this as a second meal using leftovers! Because Tip Garden is all about quick and easy ideas for all of you busy people, my version uses short cuts to create the recipe. 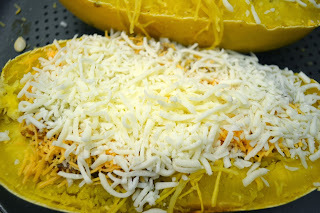 I love to use my Mexican Master Chicken Mix from my freezer for this one, but I'll talk you through making a batch from scratch too. 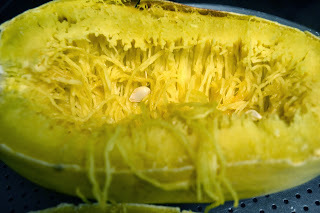 Cut cooked spaghetti squash in half and scoop out seeds ,leaving the cooked squash in side the shell. 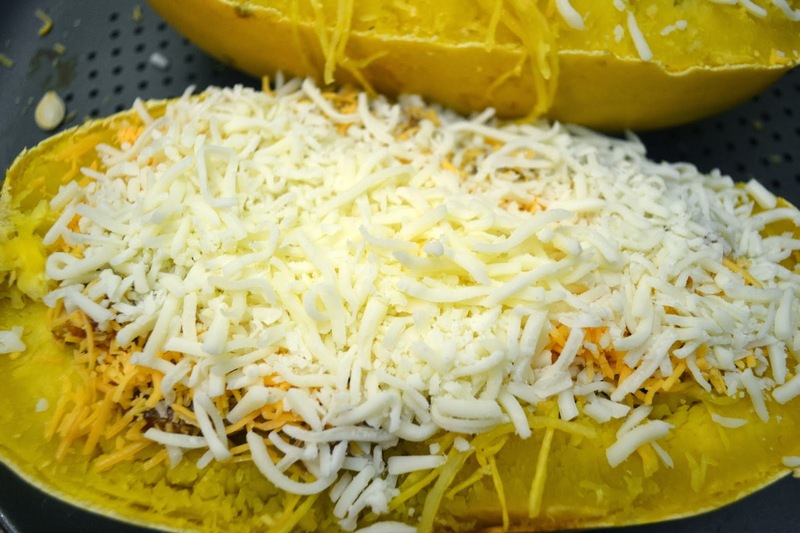 3) If mixing up your own filling now, in a large mixing bowl, mix together, shredded meat, beans, corn, enchilada sauce and any optional ingredients. 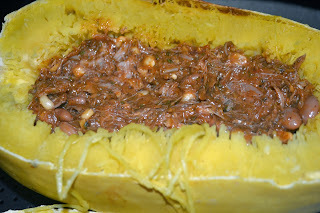 4) Stuff Enchilada filling into center of each squash. 7) Heat in oven 15 min till filling is warm and cheese is bubbly.